A new release for Saturday! 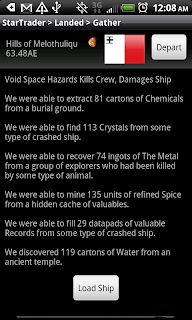 Star Traders RPG v3.0.3 is about to be uploaded to the Android Market and GetJar. The second feedback-based refinement release to v3.0 the 0.2 release includes a number of important feedback requests and fixes.